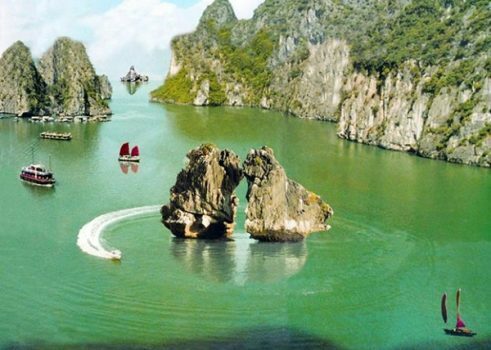 What would you like to do when you travel to such a coastal city as Halong? 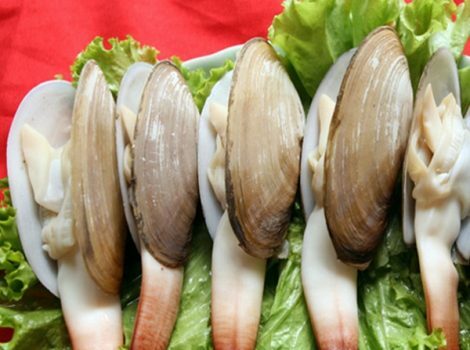 Certainly, most of you would like to enjoy fresh seafood, right? 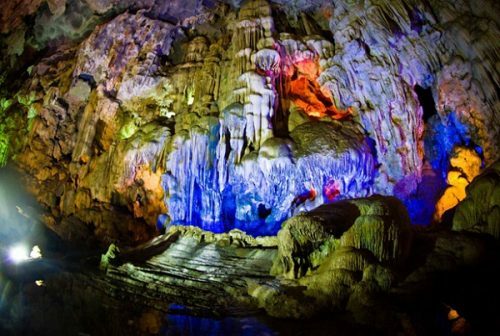 So when you try to figure out what to eat in Halong Bay travel, make sure you will not miss these delicious cuisines from seafood. 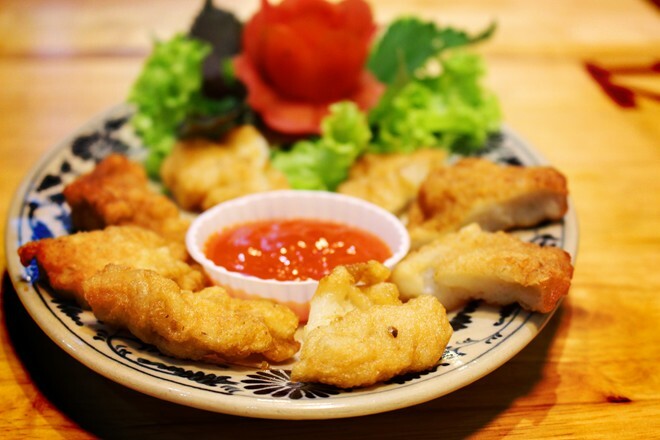 Cha Muc aka squid sausage is undeniably the most favorite cuisine in Quang Ninh, which is included in the top 50 best Vietnamese dishes. Both local people and tourists once enjoying Cha Muc would love to try the cuisine again and again. 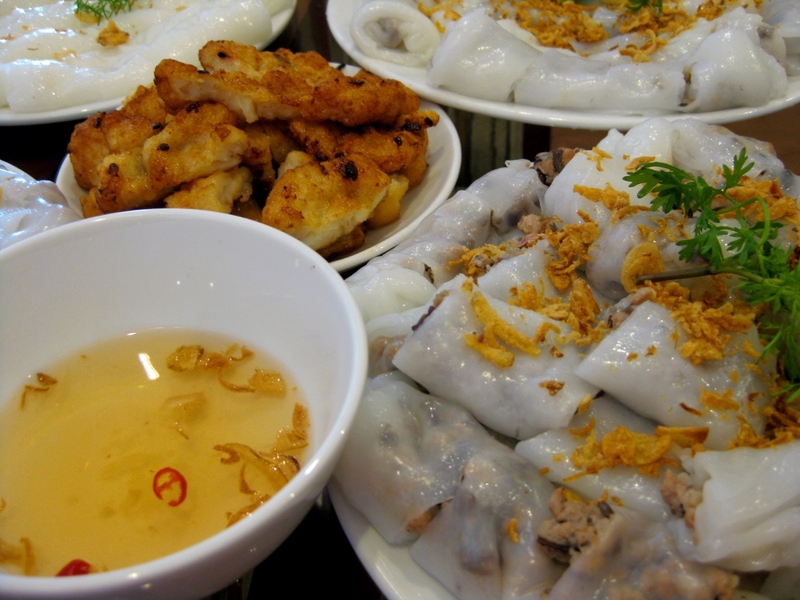 Banh Cuon or steamed rice rolls is a popular cuisine in the Northern of Vietnam. As can be figured from its name, Banh Cuon is made from rice flour mixture poured over a fabric-covered pot, creating really thin crepe. The crepe is added ground pork, minced wood ear mushroom and fried onions then rolled. Banh Cuon Cha Muc eaten with dipping sauce is a perfect combination. One of the most famous store selling the cuisine is Banh Cuon Ba Ngan, located at no.34, Doan Thi Diem Street, Halong city. With the reasonable price ranging from US$1.5-2.5 you will have a dish of steamed rice rolls with squid sausage. Banh Cuon Ba Ngan is a popular address of the local. 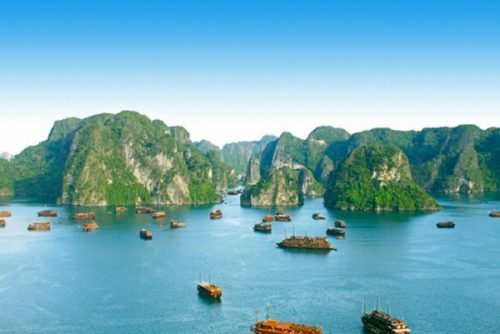 Once you visit Halong, sea snails of all types simply made into yummy dishes are what you shouldn’t miss. 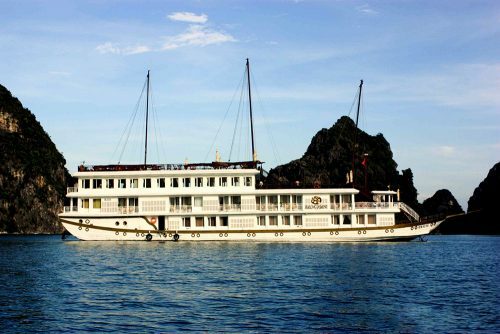 Like other coastal cities, Halong has fresh and best quality seafood. Only for sea snails, there are so many different eatable ones that we cannot count so the best way to remember is trying as many as possible. With the same recipe including fish sauce, ginger and peppers, to fry or boil sea snails, you can mix any types with the ingredients you like to create your favorite taste. 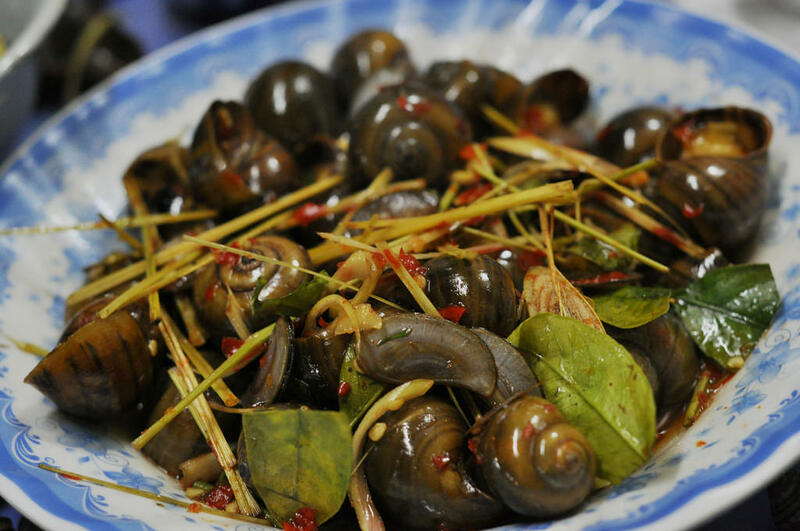 Oc is considered local street food, strongly favored by the young, so Oc dishes are not expensive, ranging from US$1.5 up to the type of sea snail. 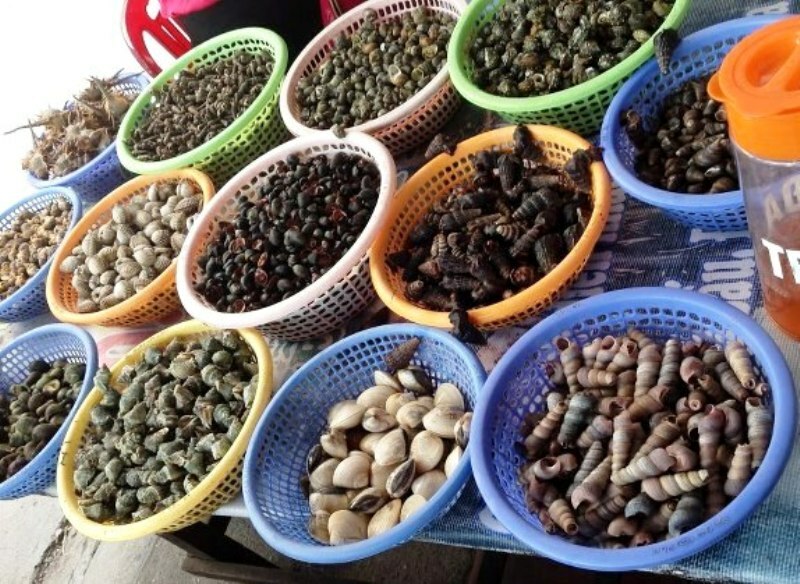 You can go to Nguyen Van Cu street to check out a range of sea snail stores. Bun Hai San is super delicious dish contain fresh noodle and several seafood. 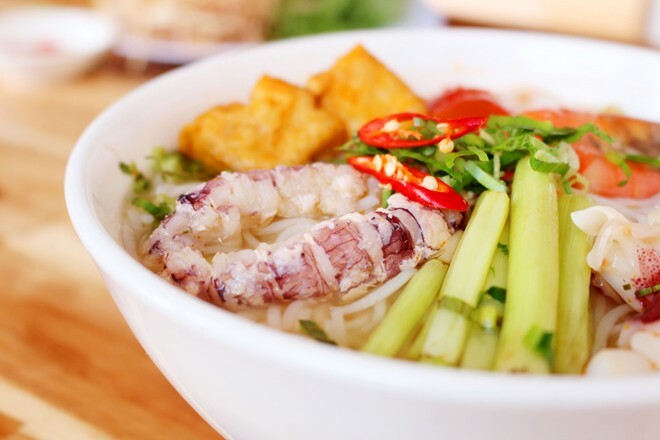 A bowl of Bun Hai San delivers full taste from the sourness of tomatoes and sweetness of bone broth and seafood such as shrimp, squid, crab meat and etc. In addition, fried tofu is included to make the dishes more colorful and yummier. Bun Hai San is a nutritious breakfast strongly loved by the local. Tourists can easily find restaurants having Bun Hai San in Cau Trang – Ha Tu from US$2 for a bowl.